Starting college or transferring to a new college is certainly a stressful time, full of questions and uncertainty, but don’t worry, your New Student Orientation team is here to make the transition both easy and fun. 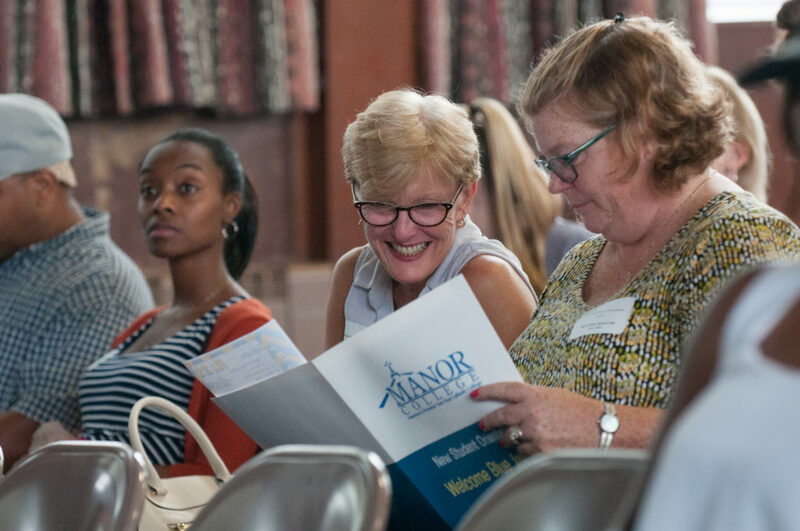 Since we want you to come to your first day of classes confident, prepared, and relaxed, Manor offers New Student Orientation sessions for all new students prior to the start of the fall and spring semester each year. RSVP that YOU will attend Fall 2017 New Student Orientation! Additionally, you will meet student leaders and college administrators who will help you navigate the world of college…plus, there’s free food and giveaways…every college student’s favorite thing! Check out the photo album from our 2016 New Student Orientation! All new students receive a free t-shirt! Yes! Your education for the next two years is very important to you and to us. By attending Orientation, you will be entering this process much better prepared. Aren’t the time, effort, money and energy you will be investing in your college education worth a few additional hours of your time? Everyone will be in the same boat – – starting out fresh and not knowing what to expect. That’s why we have Orientation. 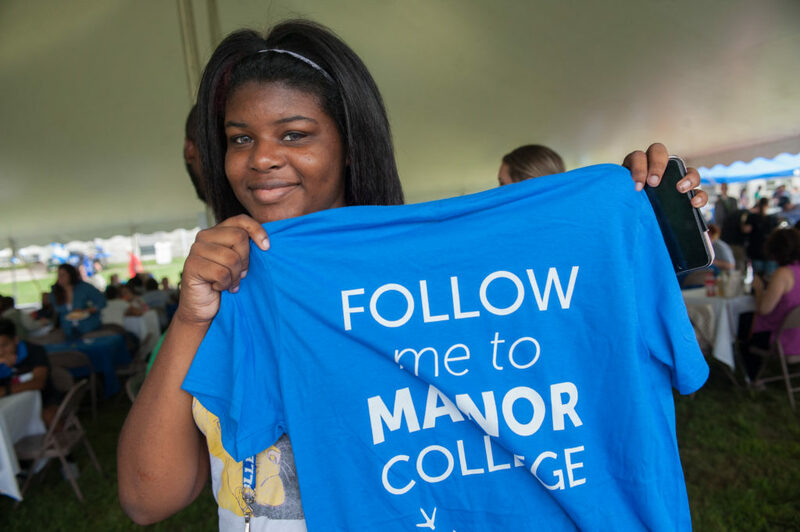 You will meet some new friends, become highly familiar with the departments and services of Manor College, create a class schedule that will meet your needs, and look forward to entering college with a positive outlook. Areas of discussion will include information on: Student ID’s, Financial Aid, Student Portal, Counseling Services, the Learning Center, Athletics, Student Clubs and Organizations, and Campus Ministry. If you haven’t already mailed it in, please remember to bring your blue medical form with you to Orientation, as well as your $100.00 deposit if you haven’t already paid it. Don’t worry about money for food, since breakfast and lunch (and ice cream!) will be provided for you, free of charge.